Learn the essential techniques of breath support, resonance, posture, diction, and various other vocal elements. Solidify the production of beautiful sounds, and prepare to sing (and speak!) with your full vocal potential. Singing with proper body-use and breath support can be a very fulfilling and therapeutic practice! Other than performing on stage, I run a boutique voice studio, in both L.A. and San Diego, where I get to indulge in my second passion – teaching the practice of healthy singing! I was extremely lucky during my college years to learn from several great voice teachers and coaches, and I am always excited to impart the knowledge I have acquired over the years, through performance and study, to others who may be interested or fascinated in the human voice. I have also been lucky to have such varied opportunities in my singing life, where I was able to maintain a versatile instrument, and continued performing in various singing styles. Thus, I am qualified and experienced in teaching various vocal styles, including opera, classical, pop, rock, jazz, folk and musical theater. Lessons are tailored to each individual student’s goals and needs. Most students benefit from the study of vocal warm-ups, exercises and song repertoire, coupled with the study of music theory. Learning plans are flexible for each student, depending on their interests, strengths and objectives. Voice lessons improve not only the singing voice itself, but also the speaking voice, confidence, posture, body awareness, breath awareness, diction and anatomical knowledge. Seeing these improvements in my students means the world to me! I loved working with Kasia. She's specific and so knowledgeable. My breath support and posture tremendously improved for my singing! 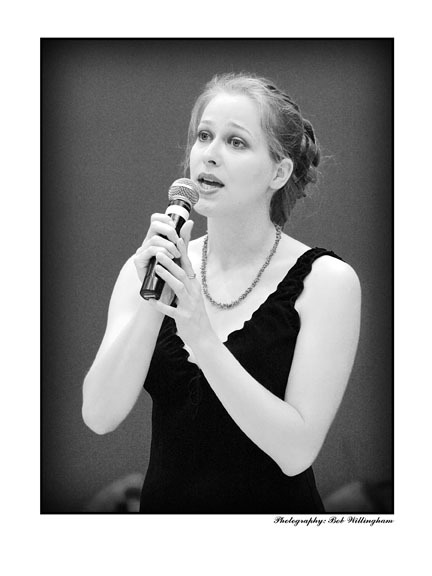 Katarzyna is a sensitive, skilled, and reliable performer and voice teacher. She imparts her knowledge with ease and takes great care of all of her students, ensuring that they reach their vocal potential. Katarzyna is a sophisticated artist with a treasure trove of gifts and ability to offer her students. I highly recommend her!